Should You Give Green Tea to Your Kids? You are here: Home / Advice / Should You Give Green Tea to Your Kids? I’m assuming you already know that. Japanese people drink green tea by the gallons and they are among the healthiest people in the world. With one of the longest lifespans. Some people drink green tea to improve concentration, some do it for its cancer-fighting properties and some simply drink it for the taste. 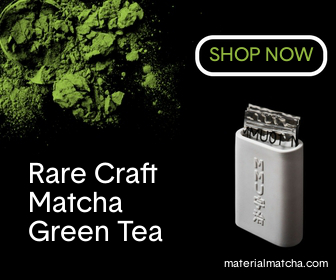 Whatever the case, green tea is gaining momentum around the world and is getting more popular by the day. But, is green tea an acceptable drink for kids? While it is healthy, it does contain caffeine. Can the caffeine in green tea harm your kids? Or do the potential health benefits outweigh the negatives? We all want the best for our kids, that’s why I prepared this short list of pros and cons that will help you decide if your kids are ready for green tea. Japanese green tea contains phytonutrient catechins. Catechins are types of antioxidants from the flavonoid family. The flavonoids give plants their recognizable green color. Research shows that these catechins also protect our teeth and gums against cavity-inducing bacteria. We know tooth decay is one of the most common health problems affecting kids today. Green tea is a great natural alternative for a healthy mouth. And to top it off, the sulfur in green tea also prevents bad breath. Just make it sure you keep the consumption on the low end for your kids. Too much tea can cause discoloration of sensitive teeth and we don’t want that. Do you remember catechins? The thing that protects our teeth and the teeth of our kids? It turns out it also helps fight both flu and the common colds in children. They prevent the viruses from attaching to cells and multiplying in your body. A research in the Journal of Nutrition from 2011, that was done on a group of elementary school kids in Japan showed that children who drink green tea on a daily basis have fewer cases of flu infections compared to those who don’t. And wouldn’t you want your children to get sick less often? Try incorporating green tea into their diets. We live in a strange world where heart disease isn’t something only affecting the old. Our sedentary lifestyle and poor diet choices contribute to our declining health and research shows that plaque buildup in the arteries starts in early childhood. If you want to decrease your kid’s blood pressure and elevated cholesterol levels, give them green tea. A research published in Obesity showed that green tea successfully decreases both blood pressure and cholesterol in children when drunk regularly. World Health Organization says that 42 million children below the age of 5 are either obese or overweight. The data is for 2013. To make thing even worse, they predict this number will rise to 70 million by 2025. Green tea is low in calories which means its more waist-friendly then most soda drinks on the supermarket shelves. Not only that, it contains metabolism-boosting antioxidants that block enzyme from breaking down the hormone used by the nervous system that signals fat cells to break down fat. The result of this is less fat kids. Green tea contains L-Theanine, an active ingredient that reduces stress and improves concentration and memory. It also contains polyphenols which widen blood vessels in the body and improve the blood flow to the brain. And better blood flow results in better cognitive abilities. So, give your kids green tea if you want them to perform better in school or if you simply want them to have a clearer head. Did you know that giving your kids green tea on a regular basis can improve their skin and hair? Green tea contains a compound called EGCG which helps make hair thicker, stronger and healthier. As we already know green tea also contains antioxidants which help fight the formation of dandruff. The data for hyperactivity is mixed. There are some studies showing green tea can worsen irritability and hyperactivity in certain children and there are some studies showing caffeine helps mellow down energy levels in hyperactive children. The truth is we don’t know yet whether green tea helps or worsens hyperactivity. In cases like that, it makes sense to be cautious. Green tea contains caffeine. And even though the amount of caffeine is a lot smaller than the amount of caffeine in coffee it still might be too much for some kids. Children can be susceptible to stimulating drinks. Because their metabolism works in shorter cycles, the caffeine enters their bloodstream quickly. Some kids are extra-sensitive to caffeine. They can experience insomnia, inability to concentrate and irritability after consuming green tea. So, Can I Give My Kids Green Tea? As we see, the benefits usually outweigh the negatives. But this isn’t a rule set in stone and this topic is often hotly debated. If you notice any side-effects in your kids you should avoid giving them green tea. You should also closely monitor the amount of green tea you give them. Kids between 4 and 6 years of age shouldn’t intake more than 45 mg of caffeine a day. That’s about one mild cup of green tea each day. You can add another cup per day once they reach 10 years of age. You should introduce Japanese green tea to your kid’s diet slowly and you should closely monitor for possible side-effects. The Japanese themselves often give their children bancha, which is a somewhat milder green tea. At the end of the day, green tea is good for your kids and it should be a part of a balanced diet, even for children. And make sure you only select high-quality blends of for your children. Kei Nishida is a Japanese green tea enthusiast, a writer, and the founder and CEO of Japanese Green Tea Company. 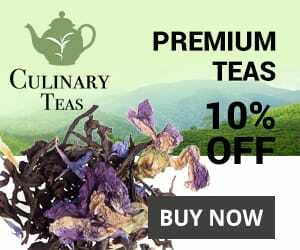 His enthusiasm for health and tea pushed him to developing his company, Japanese Green Tea Company, where he brings the very best in Japanese Green Tea to customers all over the world. Kei’s love of Green Tea and passion for writing has helped make him a featured author on sites and Magazines such as Fresh Cup Magazine. He is also the author of Japanese Green Tea and Health Blog and multiple published books including Cook with Matcha and Green Tea.